Trading of South Korean shares is projected to take place within a narrow range this week amid growing concerns about a prolonged US government shutdown and the impending Brexit vote in the UK, which are dampening investor sentiment. The two political risks, combined with lackluster fourth-quarter earnings projected for US and Korean firms, will likely push the main Kospi bourse into a “boxpi” situation, according to analysts. “Boxpi,” a combination of the words “Kospi” and “box,” is used in Korea when the stock market fluctuates within a narrow band. Despite last week’s rally in the Korean stock market, backed by optimism surrounding the US-China negotiations, securities firms such as Hana Financial Investment Co. and KTB Investment & Securities Co. projected Kospi band ranges of 2030-2080 and 2030-2100 for this week, respectively. The Kospi closed 65.32 points, or 3.24 percent, higher than the previous week’s closing on Friday at 2,075.57, according to the Korea Exchange. Kosdaq soared to 686.33, also ending a weeklong rally on a positive note. Meanwhile, Wall Street stocks closed slightly down on Friday, ending a five-session winning streak that analysts saw as a signal of the market losing steam after a bull run. The Dow Jones industrial average closed 5.97 points or 0.025 percent lower at 23,995.95, while the S&P 500 shed 0.38 points or 0.015 percent and closed at 2,596.26. “Investors’ concerns surrounding the prolonged government shutdown in the US coupled with growing speculation that the UK may postpone Brexit slated for March 29 lead to a strong British pound -- and the Kospi will likely trade in a narrow range,” Seo Sang-young from Kiwoon Securities Co. told The Korea Herald on Sunday. “There is also the pressure surrounding key US companies’ fourth-quarter earnings announcements next week, including Netflix,” he added. 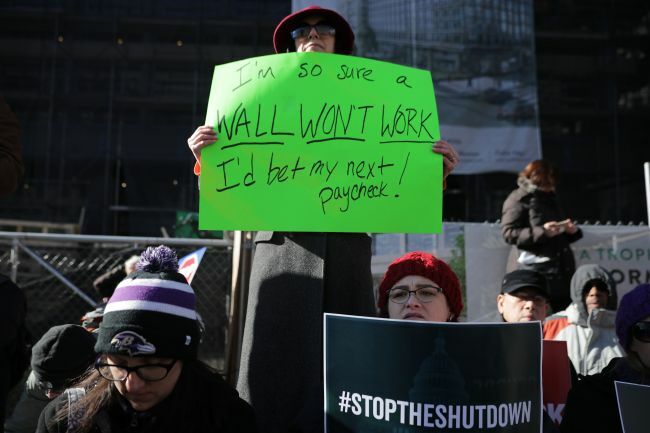 According to an estimate released Friday by S&P Global ratings, if the government shutdown lasts two more weeks, it could cost the US economy more than $6 billion. The partial government shutdown entered its 21st day as of Friday, tying the record for longest lapse in federal funding. “It is inevitable that the US economy would be dealt a blow if the shutdown situation drags on and it will work as a burden to the US stock market, which acts as a fundamental ‘leading indicator’ (for the US economy),” Lee Jae-sun, an analyst at KTB Investment & Securities, said. Lee also addressed the possibility of a “no-deal Brexit,” referring to the UK leaving the European Union without any formal arrangements defining the future relationship. Such a result would negatively impact the British economy, even more than the 2008 financial crisis, he said. The vote on an EU withdrawal agreement is to be held Tuesday.